Before thousands of miles of highways stretched across the country to allow for individual transportation, trains were the most efficient and useful way to travel. Growing populations and interest in the unknown led Americans out West, and expanding railroad companies followed, building a complex infrastructure that allowed for safer travel. During this time, train depots became an essential part of communities, acting as gateways to the rest of the country. With the development of automobiles and highways, train depots fell out of favor and were abandoned, but occasionally, members of society recognized the historical significance and worked to preserve the structure. Today, renovated train depots house restaurants, visitor’s centers, museums, and even upscale inns. Discover the history behind these Virginia train depots, preserved and restored to once again hold an important place in their communities. 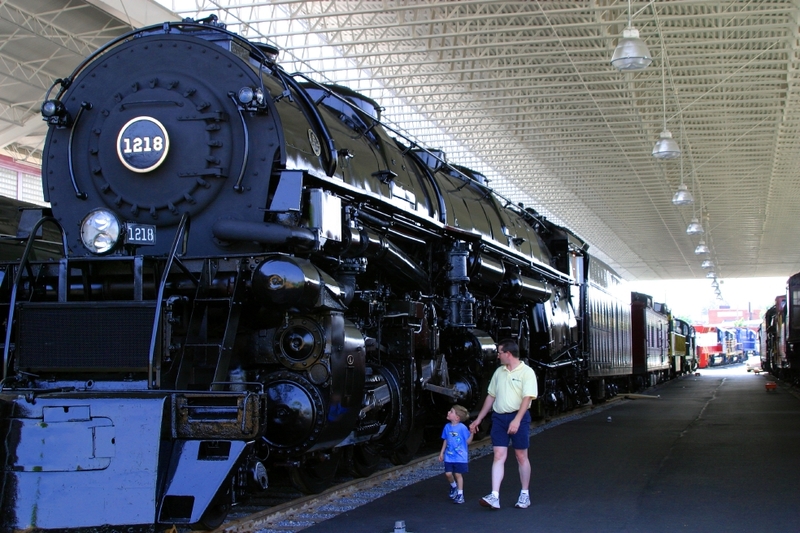 Housed in downtown Roanoke’s old Norfolk & Western Railway Freight Station, the Virginia Museum of Transportation showcases retired steam, diesel, and electric locomotives, as well as rail cars, antique automobiles, model trains, and aviation artifacts. The train depot originally opened in 1918, serving as a hub in the heart of Virginia’s Rail Heritage Region, and while the museum covers the history of the railway, there are still active tracks running alongside, allowing visitors to see today’s trains in action. 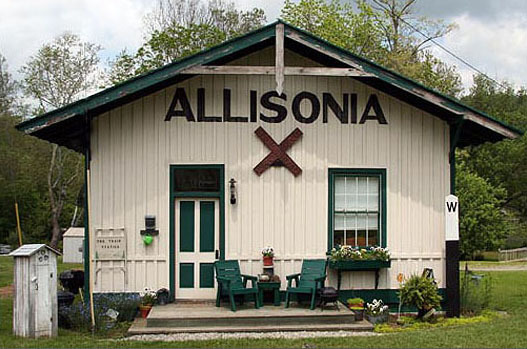 Referring to their creation as the “Grand Old Lady of Pulaski”, the Virginia-Tennessee Railroad rebuilt the Pulaski Railway Station in 1888 out of peak granite, hiring master Italian stone masons to replace the previous depot which had stood for 30 years. A major restoration took place in 1994, but like the Bedford Station, a fire destroyed all but the stone walls in 2008. The town restored the structure to its former glory, and now rent the historic depot out for private events and town functions. The Whistle Stop Inn began as train station in the late 1800’s, but the unique depot has been lovingly restored to a vacation cottage that sleeps 2-4 people. The historic depot is located beside the New River, with the New River Trail running parallel. The one bedroom rental has an additional sleeper sofa and a fully furnished kitchen and the location provides a perfect getaway spot for outdoor enthusiasts, with hiking, cycling, and river sports all just steps away. Built in 1907 by Norfolk & Western, the Historic Rocky Mount Train Depot began as both a freight station and a passenger service center. Today, it serves as the Community and Hospitality Center for Rocky Mount, but the town preserved the history of the train depot in exhibits that display tools and antique train memorabilia. While visiting, make sure to check out the restored N&W caboose, located next door to the community center. The C&O Railway Heritage Center educates visitors about the history of the C&O Railroad, from the people and places associated with the train company to the technology that made the railroad possible. Additionally, the museum honors the people that worked on the railroad, telling their stories and how rail travel helped develop our nation and build a thriving economy during the toughest times. 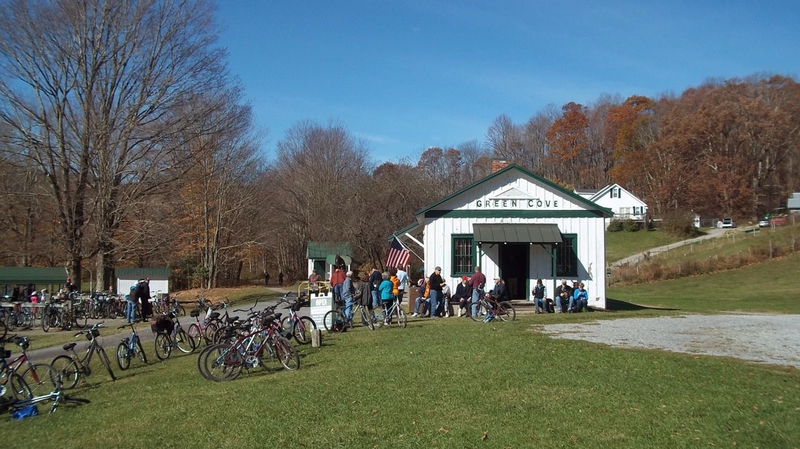 A railroad depot from the 19th century, the Green Cove Train Station now serves as a U.S. Forest Service Visitor Center and trailhead for the Virginia Creeper Trail. Many of the original contents from the general store and post office housed inside the depot were saved during the restoration, and are now on display to shed light on the building’s interesting history. The visitor center closes for winter months, opening from April to October each year. Established in 1958, the Allegheny Historical Society preserves the history of the Allegheny Highlands region, but the building itself plays a role in the historic story. The society is housed inside two adjacent buildings that began as the Chesapeake & Ohio Covington Passenger Depot, with the first originally completed in 1890 and the additional depot structure added in 1908. Built by the Virginia-Tennessee Railroad Company in 1867, the Historic Cambria Depot is one of only two pre-segregation Reconstruction-era depots left in the United States. Although Union troops laid waste to the Tuscan-style depot during the Civil War, the station was rebuilt, becoming a central entry point for both Montgomery and Floyd Counties between 1870 and 1940. After the era of trains began to decline, the building was repurposed as an eclectic shopping center, holding a bevy of antique shops and craftsmen stores. Olde Liberty Station functioned as a train depot until 1971, and even after closing, it stood in Bedford as a reminder of the bygone days of train travel. 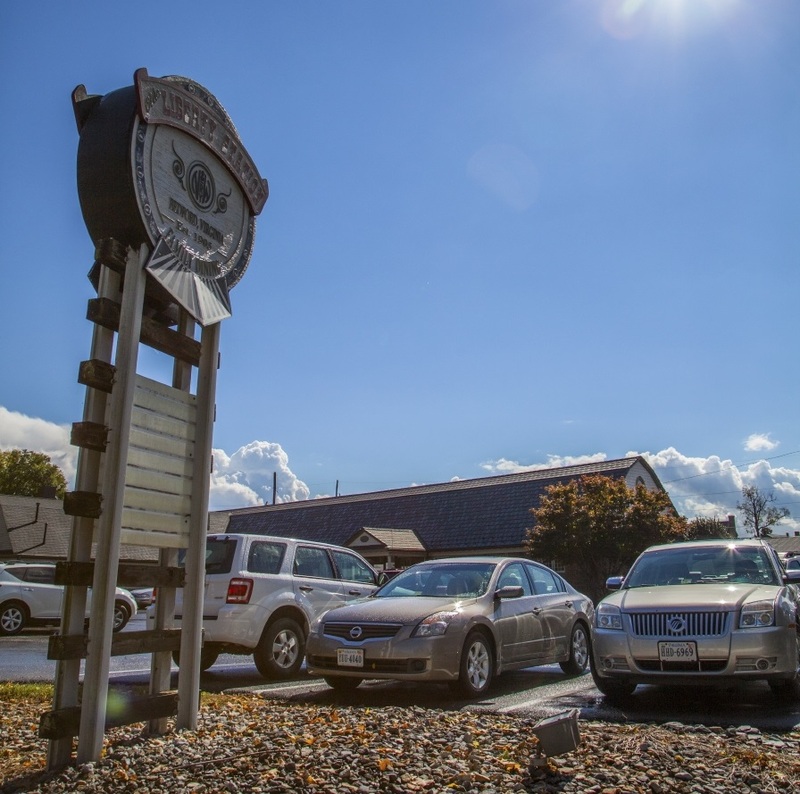 The depot was eventually transformed into a restaurant, quickly becoming a community staple that serves excellent American fare while sharing the history of the train station and the town of Bedford. Unfortunately, much of the historic building was destroyed in a fire in 2009, but the strong stone walls that had stood for over 120 years survived the damage, and Olde Liberty Station Restaurant reopened in 2010. The Historical Society of Washington County was founded in 1936, but before that, the building that held the society’s headquarters in downtown Abingdon was a Norfolk & Western Train Depot. The historic structure now houses genealogical information, historical research, and more than 160,000 images that tell the story of Southwest Virginia and the people that have called it home over the years. Constructed in 1918 as the Southern Railway Depot, the Pittsylvania County History Research Center currently serves as a regional museum, with a mixture of temporary and permanent exhibits featuring artifacts like clothing, tools, and photographs. The museum is also home to the Veterans History Project, sharing accounts of American war veterans that have been collected and preserved so that future generations may learn their stories. One of the favorite exhibits at the museum is a model train replica of the 1874 rail line that ran through Pittsylvania County, commonly referred to as the “Old 97” track. This is Part 1 in the Historic Virginia Train Depot Series. Stay tuned for parts 2 and 3!